Stunning 7-inch 1,500nit HDR touchscreen with 1,000,000:1 contrast ratio, ProRes RAW recording and real-time Dolby Vision output. performance of top-end LCDs. Objects appear more lifelike than ever, with complex textures and gradations beautifully revealed. In short, Shogun 7 offers the most detailed window into your image, truly changing the way you create visually. “We set out to design the most incredibly high contrast and detailed display possible, and when it came off the production line the Shogun 7 exceeded even our expectations. This is why we call it a screen with “Unbelievable HDR”. With multi- camera switching, we know that this will be the most powerful tool we’ve ever made for our customers to tell their stories “, said Jeromy Young, CEO of Atomos. seen on the award-winning Ninja V. Icons and colors are designed to ensure that the operator can concentrate on the image when they need to. The completely new body of Shogun 7 has a sleek Ninja V like exterior with ARRI anti- rotation mounting points on the top and bottom of the unit to ensure secure mounting. 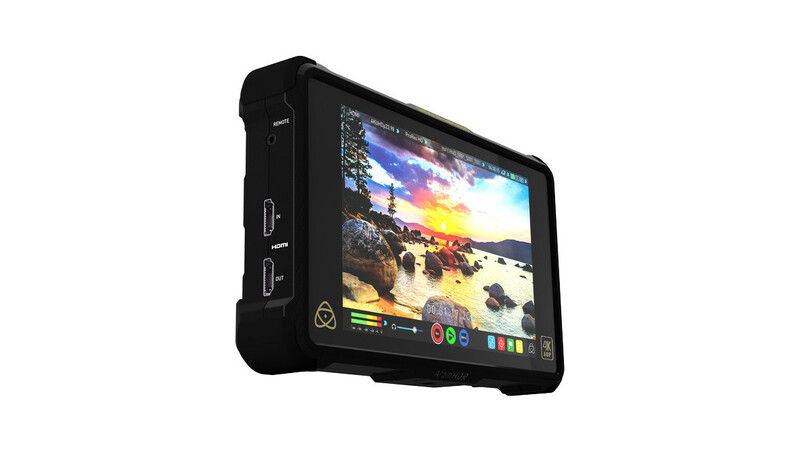 Portable multi-cam live switching and recording for Shogun 7 and Sumo 19 Shogun 7 is also the ultimate portable touch-screen controlled multi-camera switcher with asynchronous quad-ISO recording. Switch up to four 1080p60 SDI streams, record each plus the program output as a separate ISO, then deliver ready-for-edit recordings with marked cut-points in XML metadata straight to your NLE. The current Sumo19 HDR production monitor-recorder will also gain the same functionality in a free firmware update. Sumo19 and Shogun 7 are the ideal devices to streamline your multi-camera live productions.